At the beginning of the second term students vow to start all their assignments early and to stop procrastinating, but with the end of term only a few weeks away and a mountain of due dates looming, some were in need of some serious procrastination rehabilitation. 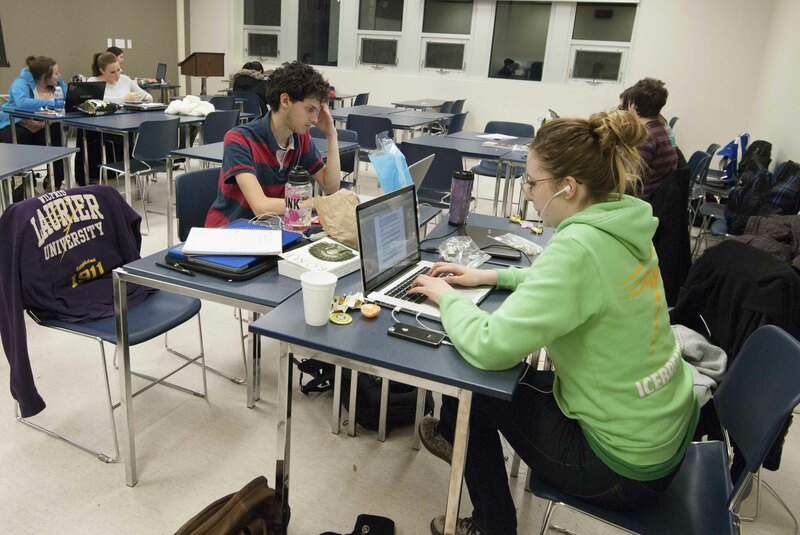 Last Thursday, the Writing Centre hosted The Long Night Against Procrastination (LNAP), an event which tried to help students pervent procrastinating. The Writing Centre opened its doors to students from 8:00 p.m. on Thursday until 8:00 a.m. Friday, and invited students to work on their assignments in a quiet environment with access to help from tutors throughout the night. While this was Wilfrid Laurier University’s first LNAP, the event has been running internationally at university writing centres since 2010. Laurier was the second university in Canada to host a LNAP. She acknowledged that the Writing Centre tends to get busy near the end of term and so students may have difficulties booking an appointment. The event provided students with the opportunity to get help at a time that is normally not available to them and is perhaps more convenient. Grant was one of five tutors who were at the event for the full twelve hours, while four other tutors took shifts throughout the night. Erika Bauder, a first-year sociology student who attended the LNAP, noted the unique experience it provided students with to get feedback from tutors throughout their writing process. Additional support took the form of small writing workshops which tutors ran periodically throughout the night. One of the major goals of the event which Samuels highlighted was to promote the Writing Centre services so that students use them at others times of the year as well. Samuels went on to explain that they are trying to build a community where people will feel comfortable enough to share their writing. For Connor Miller, a first-year history student, the event was the first encounter he’d had with the Writing Centre, introducing him to the services they offer. He found the LNAP to be enjoyable and helpful. “It’s been a good opportunity to have somewhere quiet to sit without worrying about getting kicked out at some point in time like at the library,” Miller continued. He and Bauder commented they’d like to see the event run at least once per term. Samuels explained that there will be another event next year, and there is a possibility of organizing one for the fall term as well.